G14 – The rate at which virtual objects adjust based on subtle hand movements, particularly during resizing and rotating actions, needs to be slowed down. The rate at which virtual objects adjust based on subtle hand movements, particularly during resizing and rotating actions, needs to be slowed down. 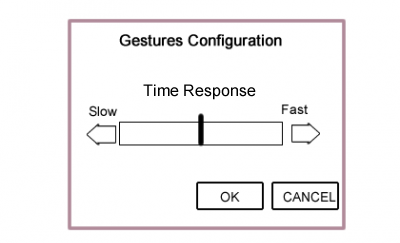 The performing of some gestures, for example resize gesture and rotate gesture should be accompanied with some slowed down in the correspondence of these gestures with interface objects. 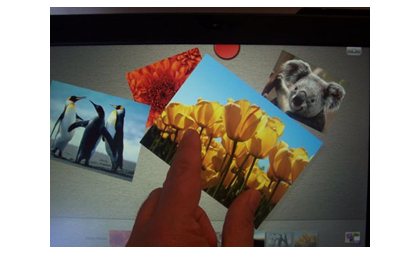 The multi-touch interfaces for older adults should include easing or damping in the interaction. This example illustrates the use of resize gesture whose its correspondence with interface objects should be slowed down. 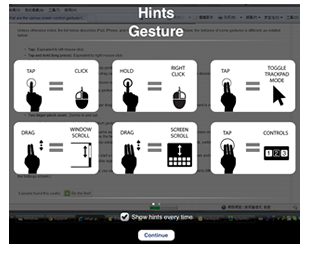 Accessibility, Elderly, Feedback, Gestures, Interaction, Multi-Touch. G5 – Iconic gestures are very engaging. Iconic gestures are very engaging. An iconic gesture is a gesture that visually and analogically represents its meaning; these gestures have a hedonic quality that are enjoyed by older users. Example: ‘X’ gesture , ‘L’ gesture. “X” gesture and “L” gesture are examples of iconic gestures. 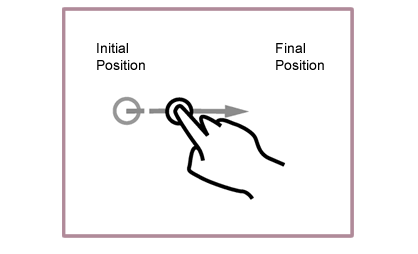 G4 – In drag gestures, the “natural” version should be implemented: the object should stay where it has been left rather than flying back to its initial position. In drag gestures, the “natural” version should be implemented: the object should stay where it has been left rather than flying back to its initial position. 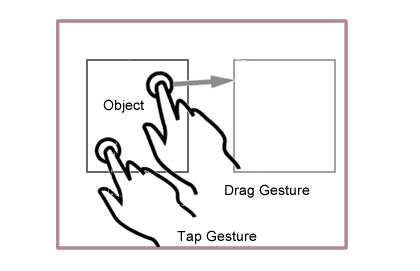 In the use of drag gesture in the manipulation of an interface, the “natural” version of this gesture should be implemented, i.e. when the contact is lost during a drag the object should stay where it has been left, does not coming back to its initial position. to initial position, staying where it has been left.